A blog that specializes in post mortem analysis. Luis Ruales (697) & Sam Abujawdeh (unrated) late-joined. Additional late-joins permitted until the start of round 3 at the TD's discretion. Photos and my win will follow. The 27th Kenilworth Club Championship got underway on Thursday night with a 10 player field. Photos and my interesting loss will follow. Late-joins permitted until the start of round 3 at the TD's discretion. For event details, see post #1273. With 1 late-addition & possibility of others joining the Kenilworth Championship (which started last week), changes to the tournament's format were required. - The Championship will be run as a 7-round swiss, from January 11th through February 22nd. - There will be no rest weeks. 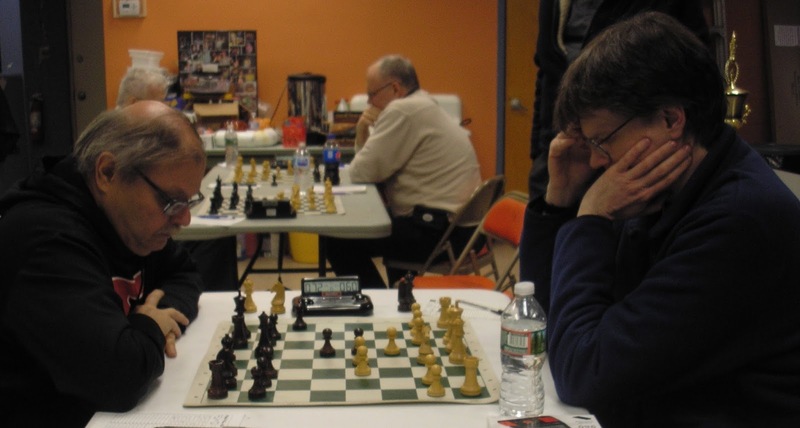 - Players are allowed 2 half-point byes. Rounds 1-6 only. Please notify Geoff McAuliffe or John Moldovan at least 8 hours in advance. - Players who have not used 2 byes may request a 7th round postponement. - March 1st & 8th have been reserved as snow dates. - Trophies will be awarded to 1st, 2nd, 3rd, U1700. - Best Game &/or Biggest Upset trophies will be awarded, if warranted. This new info has been posted on our web site & a revised Online TLA has been submitted to the USCF. The 27th Kenilworth Club Championship starts next Thursday, January 11th. 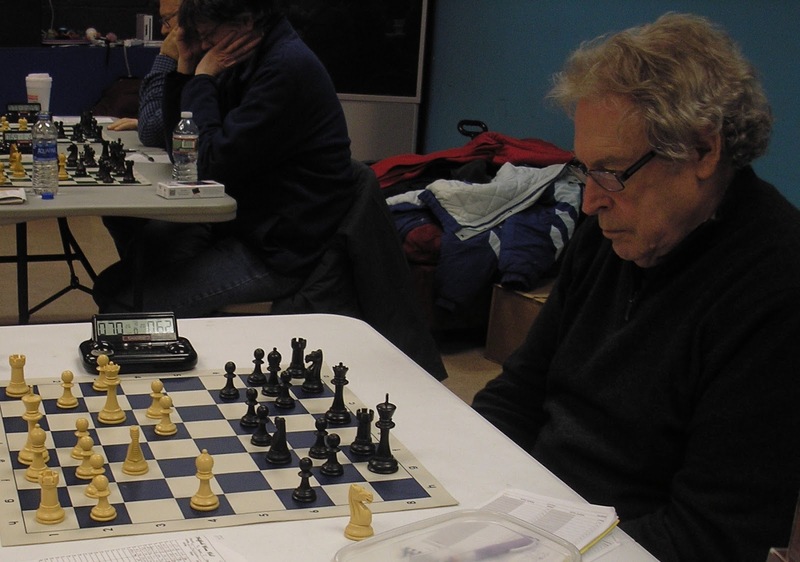 January 11 - 27th Annual Kenilworth Chess Club Championship: Round 1, 8:30 p.m.
5 to 7 rounds. 2 sections: Championship & Reserve. 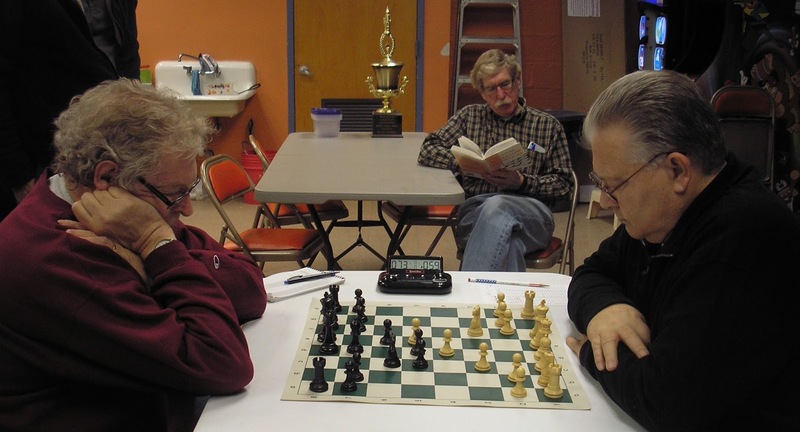 The Championship Section will be a 6 to 8 player Round-Robin. Participants will include the top 4-6 rated players entered plus the 2016 & 2017 Kenilworth CC Champions. The 2017 Reserve Section winner may also play in this section, if he so chooses. The Reserve Section will be a Swiss or RR of the same length as the Championship Section. G/75 with 5 second delay time control. 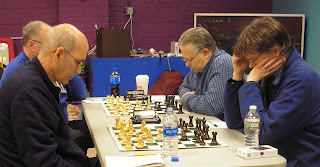 Rounds will commence at 8:30 p.m. on January 11, 18 & 25 + February 1 & 8. If 6th & 7th rounds are necessary, they will be played on February 22nd & March 1st. Postponed games from Rounds 1-5 will be made-up on February 15th. Postponed games from rounds 6-7 would be made-up on March 8th. Cost: $10 entry fee + dues + $5 anti-forfeit deposit = $30 for most players. KCC membership is required. Dues for 2018 are $10 for age 17 or less, $10 for those age 65+, $15 for everyone else. Prizes: Trophies to 1st & 2nd in each section. Additional trophies may be awarded if the number of entries warrant doing so. Register with Treasurer Geoff McAuliffe during our 1/4 meeting and or before 8:25 p.m. on 1/11 @ Kenilworth Community Center, 575 Boulevard, Kenilworth, N.J.
Late-joins allowed prior to round 2, at the TD's & Club President's discretion. For example: The late-joiner would make an even number of players in a section. 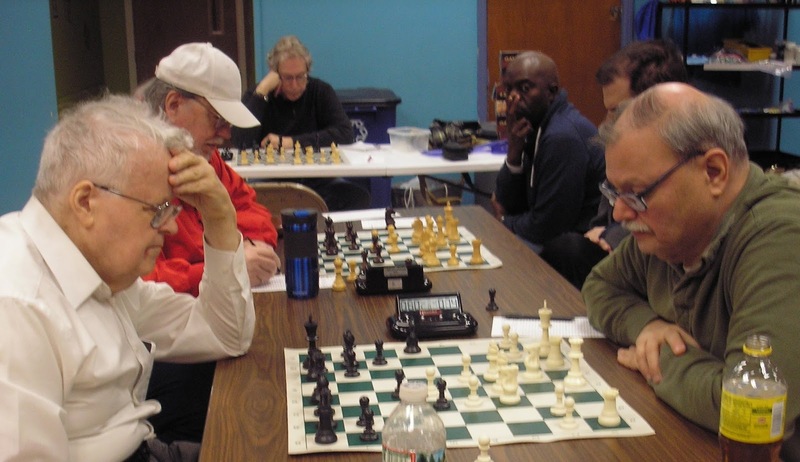 The Tournament Committee reserves the right to make changes as are deemed necessary for the good maintenance of the tournament. LM Mark Kernighan won last year, also in 2008 & 2015. Other past Champions include LM Scott Massey (who has won the title 12x!! 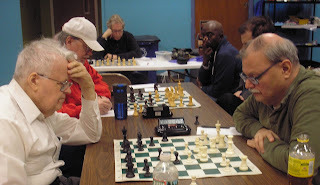 ), Rene Ray (1996), FM Steve Stoyko (2005, 2006, 2007), IM Yaacov Norowitz (2009), LM Arthur Macaspac (2010, 2012), NM Ken Chieu (2011) and IM Praveen Balakrishnan (2013, 2014) and John Moldovan (2016). 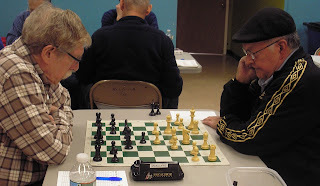 Round by round coverage of the tournament will be posted on the Chess Coroner Blog. 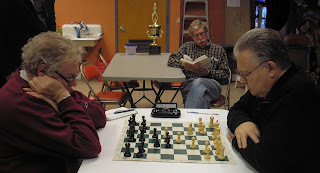 For stories of past championships, see the 2005 Club Championship website, 2006 Championship website, the Chess Coroner Blog and the KCC Tournaments Blog. Tonight's Kenilworth CC meeting has been canceled, due to the winter storm. The next meeting will be on Thursday, January 11th. Join us then for round 1 of our Club Championship! 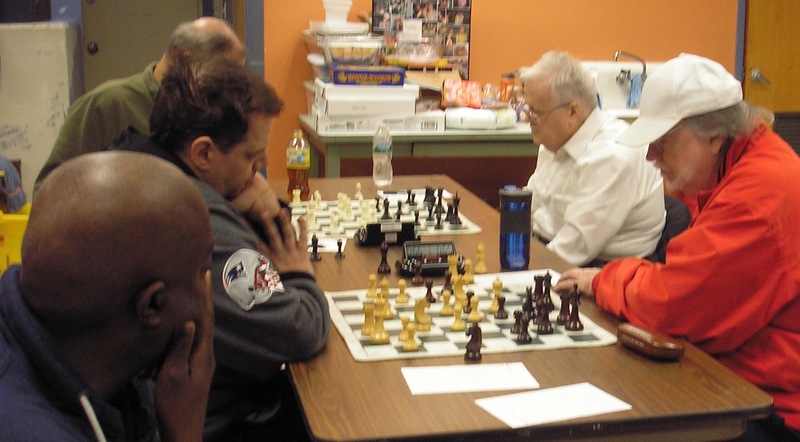 Happy Holidays - The Garden State Chess League wishes its teams, players and their supporters the happiest of holidays.